The introduction of the term “evidence-based medicine” (EBM) has been regarded as one of the most important paradigm shifts throughout medical history. The concept originally aimed to educate clinicians on how to perform and interpret scientific evidence in terms of assessment of credibility, critical appraisal of the results, and integration of scientific evidence in the everyday work. The practice of EBM entails the integration of the current best evidence in the clinical decision-making process in terms of the care of every individual patient. Today, finding the best possible evidence is closer than ever, and as researchers and clinicians of today, a deepened understanding of the EBM concept should be considered an obligation. 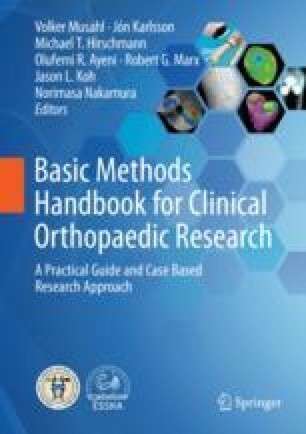 This chapter presents the fundamental principles of EBM, provides methods for incorporating the EBM in the clinical work, and discusses future directions of EBM. Green SHJ. Glossary of terms in the cochrane collaboration. The cochrane collaboration. 2015. http://www.cochrane.org/sites/deafault/files/uploads/glossary.pdf.